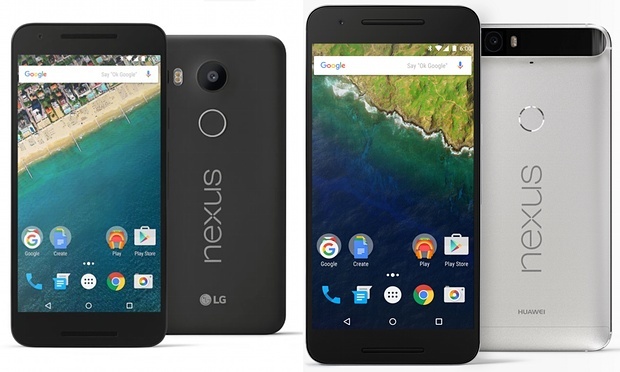 Discussion in 'Android News' started by DroidModderX, Sep 30, 2015. Today the Nexus team did an AMA on reddit. They tackled some difficult questions like "Why not include OIS? ", and "Why No Qi Charging", but one of the most interesting answers was to the question "what does the X and P stand for?". As it turns out Hiroshi Lockheimer gives a pretty reasonable explanation. The X is in reference to the core of the neXus brand, and also just straight up sounded cool. The P simply stands for premium. That's not the most interesting question. Thanks for being a Nexus fan! We added Qi wireless charging starting with N4 because plugging in USB micro B was such a hassle! (Which way is up!?) With this year’s Nexii, we support USB Type-C which has a reversible connector so there’s no more guessing. AND it charges incredibly swiftly: 1% to 100% in 97 mins on the 6P for example (the first ~45 mins of charging is especially fast). Meanwhile, wireless charging adds z (thickness). So, ease of plugging in + fast charging + optimizing for thinness made us double down on Type-C instead of wireless! Mine would of been: Why not make 32GB standard? I have an S6, which has wireless charging. It's a very cool and innovative feature for smartphones and electronics in general, I concede. However, I did buy a wireless charger to check out all the hype. I never use it. Mostly because I spend a lot of time on my phone while I am lying in bed, so I like to charge it while doing so, which COULD be done with the wireless charger, but it'd be very awkward pressing the wireless charger to the back of the phone whilst holding it in your hands. I guess I personally don't see how the lack of wireless charging is a huge deal, but, I can also see why people appreciate the feature as well. I have used wireless charging for almost 2 years. I like that I can put my phone in the exact same spot every time and it gets charged. It's also nice not having to do anything, just drop it and pick it back up without unplugging anything. BUT...it's not a deal breaker for me. If I can get 6 to 8 hours from a 15 minute quick charge I don't see the need for Qi charging. If I know I'm not going to be near a charger for a while, put it on the quicker charger for a little bit and then don't worry. "what does the X and P stand for?" It sounds like they cut corners to maximize profit. I think I'll stick with the current N6-I don't see anything that I have to have that requires paying full price again. If this device charges faster than Qi, what is the point of having Qi? Just to place a device ona mat to charge instead of plugging it in?? Maybe you missed it but that question was asked as well. This is what happens when you have an open forum for questions. Please ask anything that pops into their heads. I'm surprised we didn't see anything about what they ate for breakfast. Yeah but the problem is the cord and the port break down. With wireless charging you can preserve them a little better. Can't tell you how many cords and repairs I had to do on previous phones. I haven't had to do that on the N6 because I don't use the cord that often unless I need a charge quickly. That's a very good point, I hadn't thought of that myself. Luckily I have never had any issues with the charging ports on my devices that I can recall. Another issue I tend to find with using wireless charging is that, since my phone rests on my night stand next to my bed, I have overthrown my blanket, a pillow, maybe my hand/arm while sleeping and knocked my phone off of the wireless charging dock. While the feature is cool, it is not as reliable as a hardwire, for me anyways. Similar to how people prefer to have their devices hardwired to their router rather than using wireless, I guess. How anyone can be anti Wireless Charging is beyond me.